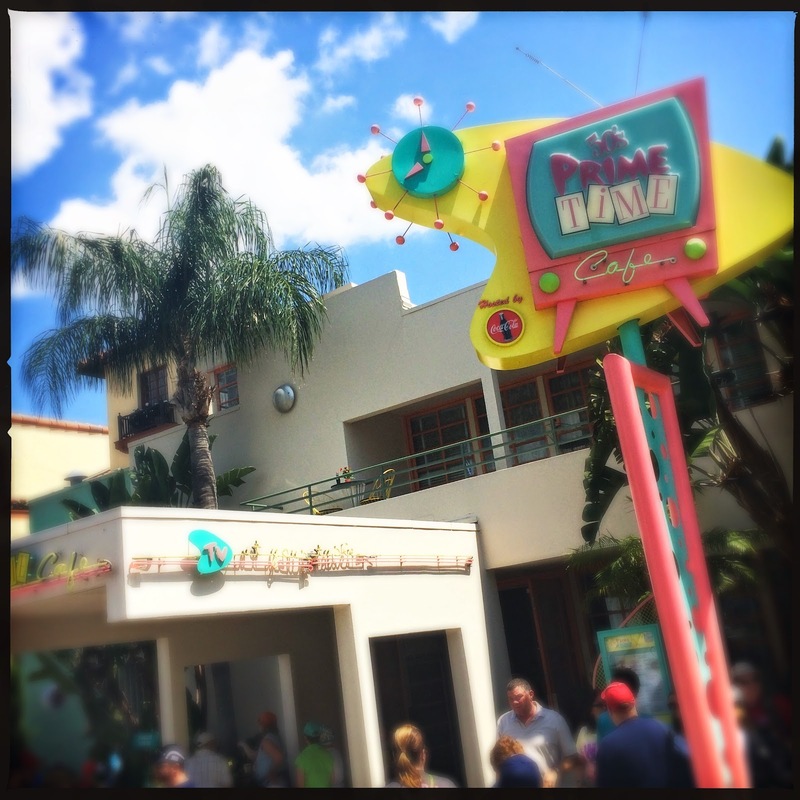 We love 50's Prime Time Cafe at Disney's Hollywood Studios…actually, let me rephrase that. 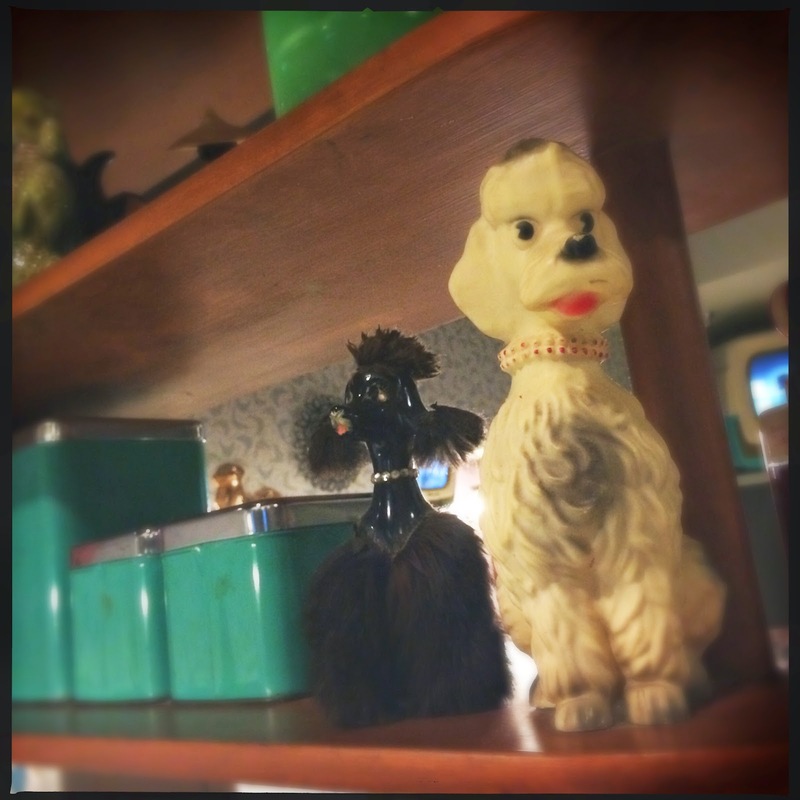 We love the Tune In Lounge at 50's Prime Time Cafe. Under normal circumstances we don't tend to eat in the main dining room, but enjoy a walk up at the bar. After all, peanut butter and jelly milkshake + onion rings = the best meal ever. 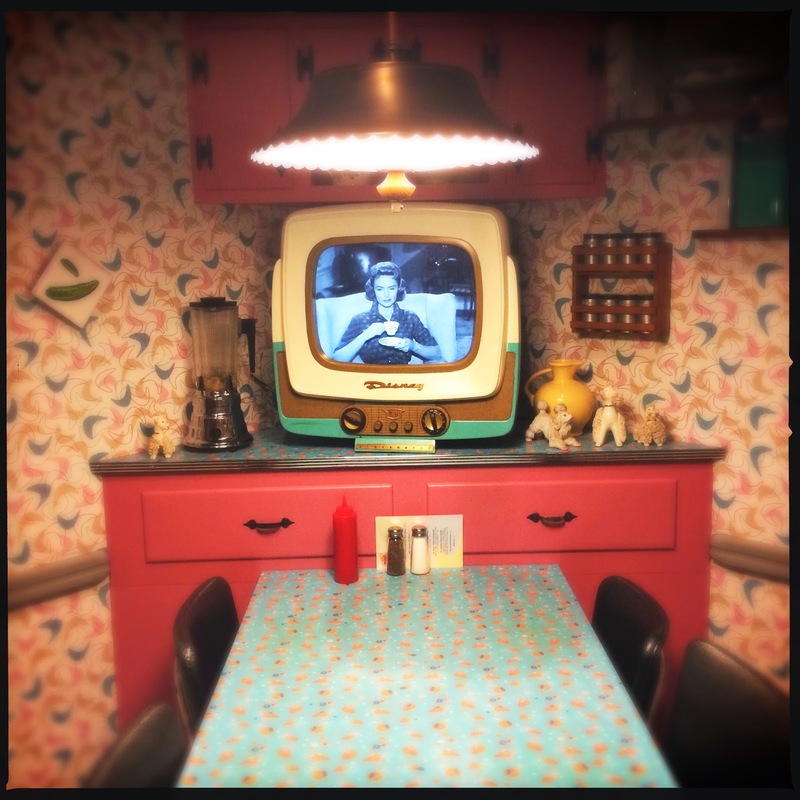 Most tables in the restaurant are placed, podlike, into a corner…complete with television, shelves, and plenty of knick knacks. The patterns of the wall paper and table really make each "pod" stand out. Just look at the perfect color of the shelf!!! 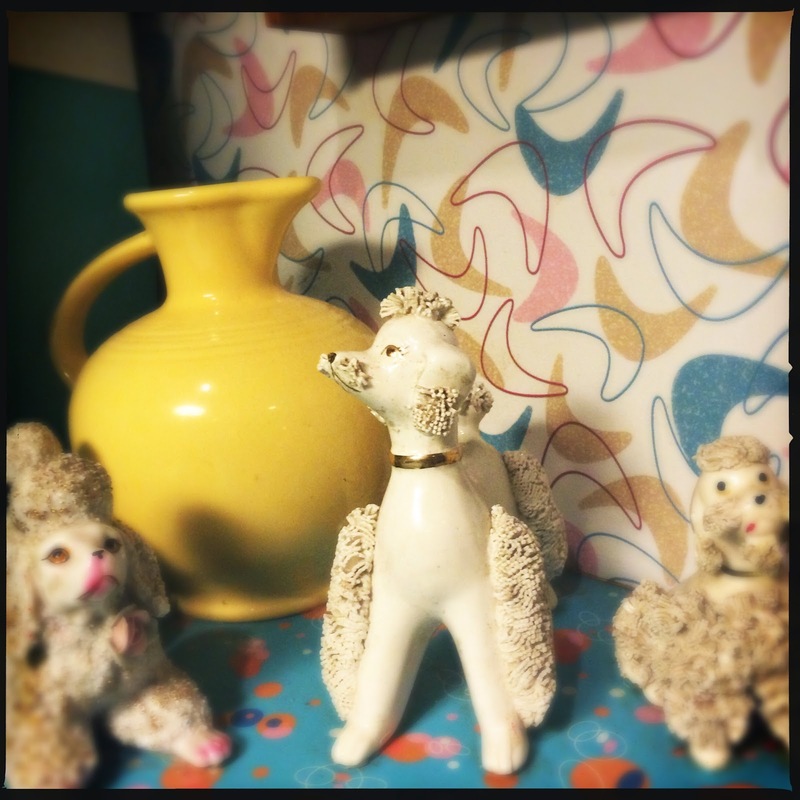 This particular table had a melange of poodles, which is both period appropriate, and pretty badass. I wanted so badly to take these home. Aesthetically, 50's Prime Time Cafe is in the top tier at Walt Disney World. 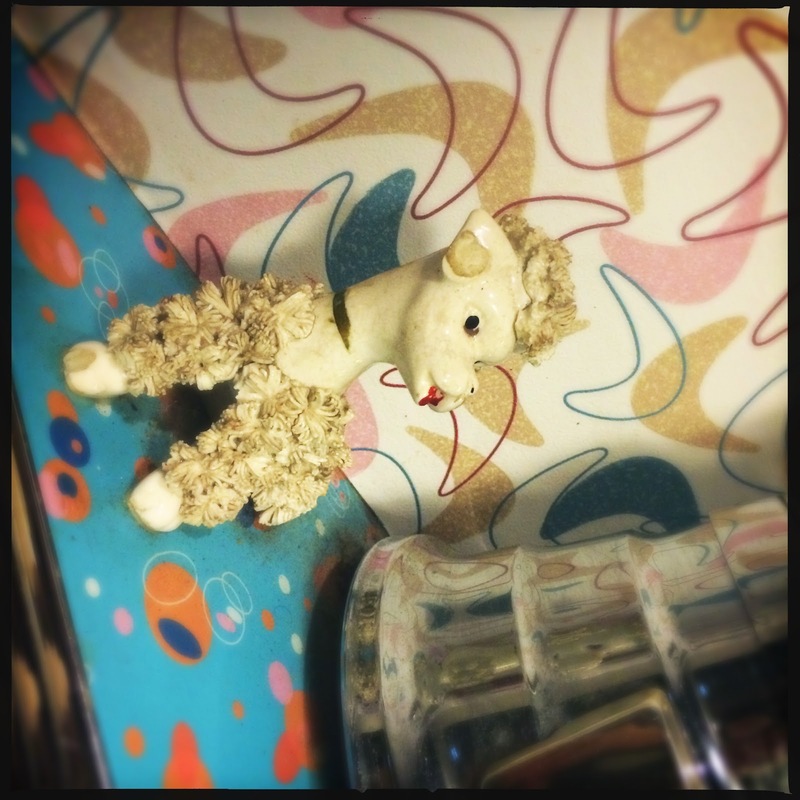 Though the food is pretty lackluster, that misstep is almost forgivable given the wonderful atmosphere. If you've never dined here before, rest assured that you will enjoy your experience one way or another.